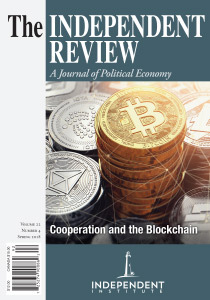 Thoroughly researched, peer-reviewed, and based on scholarship of the highest caliber, The Independent Review is the acclaimed interdisciplinary journal devoted to the study of political economy and the critical analysis of government policy. 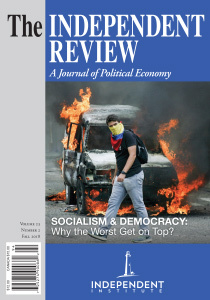 Provocative, lucid, and written in an engaging style, The Independent Review covers economics, political science, law, history, philosophy, and sociology, as it boldly challenges the politicization and bureaucratization of our world with in-depth examinations of policy issues by some of the world’s leading scholars and experts. Symposium: Private charity has tremendous but often neglected potential for advancing the general welfare in a free society. The symposium, Exploring the Philanthropic Landscape, sheds new light on a variety of contested issues related to charitable giving, comparative institutions, how government does or does not incentivize giving. Also in this issue: The philosophical origins of political correctness; Parallels of money and morality; Restructuring the House of Representatives. Plus fifteen book reviews. 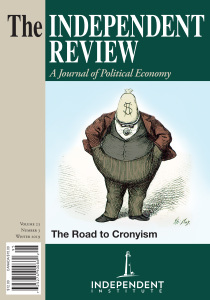 Do free-market economies tend to lapse into cronyism and what measures, if any, could fix the problem? Socialism and Democracy: Why the Worst Get on Top? Politics encourages leaders to ignore moral norms to gain power. 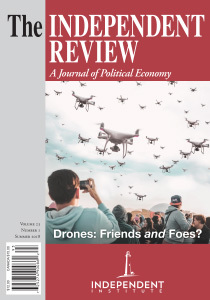 The threats and opportunities of drone technology. 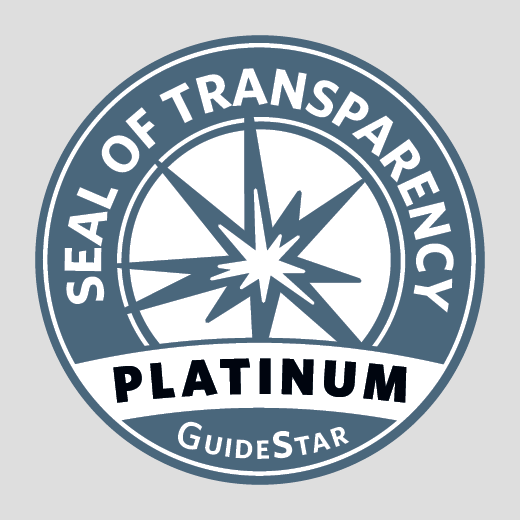 Blockchain innovations can foster private alternatives to traditional government services. The debate over immigration dominates todays headlines. 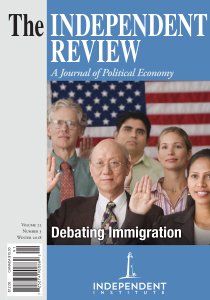 Is immigration a source of economic growth, or does it push down wages? How did the Bolsheviks gain control of Russia? 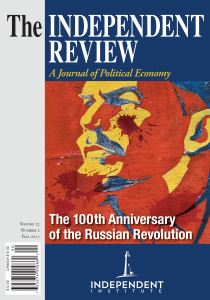 How did the Russian Revolution shape the twentieth century and Russias economic development?